Litecoin Led Last Week’s Crypto Market Surge, Will LTC Lead This Week’s Drop? Last Friday the crypto markets experienced an incredibly positive trading session that led Bitcoin, and many other cryptocurrencies, to surge 10% or more. This market move was led by Litecoin (LTC), which surged over 30% to erase several weeks of losses. Although Litecoin was the best performing crypto last week, it has led today’s market drop, and if it is unable to garner a significant amount of buying pressure in the near-term, it could lead the entire crypto markets to drop as the week goes on. At the time of writing, Litecoin (LTC) is trading down nearly 8% at its current price of $42.90. On Sunday, LTC began climbing and reached highs of $47 before swiftly being rejected at this price and falling down towards its current price levels. It is likely that in the near-term $47 will be a level of relative resistance for LTC. Last Friday, Litecoin skyrocketed from lows of $33 to highs of over $45, a major price move that led the entire crypto markets to follow suit and climb as well. Today’s drop, however, brings up an obvious question regarding whether or not LTC’s current drop will cause the entire crypto markets to begin dropping as well. Chonis Trading, a popular cryptocurrency trader on Twitter, spoke about this possibility in a recent tweet, noting that LTC’s latest pullback could give insight into where the entire crypto markets are heading next. He further added that if Litecoin is able to maintain its upwards momentum and climb higher, a large correction will likely follow. “$LTC – one of the strongest #alts charts has been leading the way. Could also show the way on the pullback as well. If #litecoin has the strength to grow higher a more notable correction would be needed,” Chonis explained. 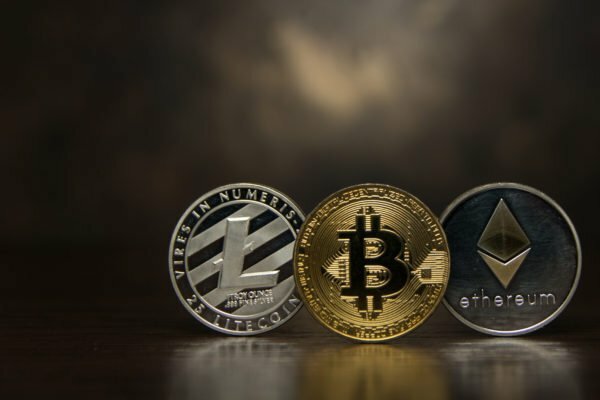 Although it is currently unclear as to whether the notion of Litecoin leading the crypto markets has any merit, most cryptocurrencies have dropped slightly today, with Ethereum being an exception. Most cryptocurrencies have dropped slightly today, with Ethereum being one of the few exceptions. At the time of writing, Ethereum (ETH) is trading up over 2% at its current price of $121.5. Yesterday, Ethereum surged from $118 to $125 before quickly falling to its current price levels. ETH is trading up significantly from its weekly lows of $103 and has treated the low-$100 region as a strong level of support. Gat, a popular cryptocurrency analyst on Twitter, explained in a recent tweet that the ETH/BTC trading pair currently has some significant similarities to that of LTC/BTC’s prior to last week’s surge, which could mean that Ethereum is gearing up for a move up to the $200 region. “If $ETH BTC pair were to act like $LTC, this is my opinion and it would put us around 200-240 USD depending on $BTC price movement,” Gat explained. The validity of this theory hinges on market stability, as any large BTC price moves will make it very difficult for any other cryptocurrencies to break the market trend and move individually. OpenNode and Blockstack are hosting a free virtual workshop on how to implement Lightning payments into a web app! Apple Announces New Services; Will They Help Its Ailing Stock? How soon can you transfer bitcoins outside of Coinbase?